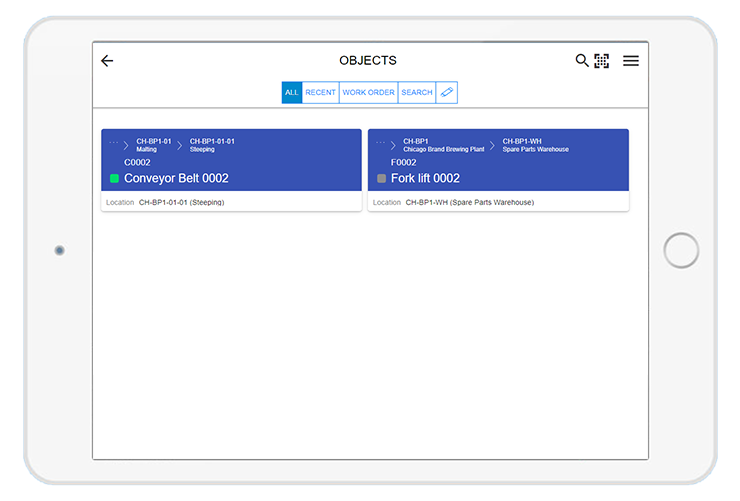 When a worker selects the Objects menu item on the EAM Mobile Client, he see a list on the Objects screen of the objects related to the work orders that was assigned to him. He then can select the search button ( in the upper-right corner) if he wants to search for other objects, which are not shown in the list. Researching on Mobile EAM functionality? You can find more about Dynaway features here.